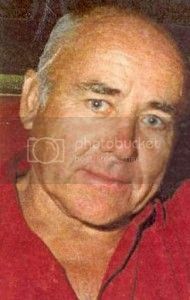 The Minister for Police and Corrective Services has approved a reward of $250 000 be offered for information which leads to the apprehension and conviction of the person or persons responsible for the murder of Gerhard Bruno Wagner at Brisbane on or about 7 Janurary 1999. In the case of an offence being identified, an appropriate indemnity from prosecution will be recommended for any accomplice, not being the person who actually committed the crime, who first gives such information. The allocation of the $250 000 reward will be at the sole discretion of the Commissioner of the Police Service. The last confirmed sighting of the missing person was as he left a friend’s premise at Hemmant at about 3.00pm on 7 January 1999 on his motor cycle, a 1986 Kawasaki 750 Virago. Mr Wagner had stated his intention to return the next day but never arrived. He was reported as a missing person on 18 January 1999. Extensive land and water searches failed to find any evidence of the missing person. All inquiries to date have failed to locate Mr Wagner or determine the exact circumstances surrounding his disappearance. Investigating police consider that Gerhard Wagner may have met with foul play. Crime Stoppers, Phone 1800 333 000. The Minister for Police, Fire and Emergency Services has announced the approval of a $250,000 reward for information leading to the apprehension and conviction of the person or persons responsible for the suspected murder of Gerhard Bruno Wagner in January 1999. The Minister, the Queensland Police Service and members of Mr Wagner’s family are hoping the reward will help generate information that may provide much needed answers regarding the suspected murder of Gerhard. On January 7, 1999 Gerhard was last seen departing his friend’s boat workshop at Hemmant on his 1986 Kawasaki Virago 750 motorcycle (Queensland registration number IQ877). It is believed he intended to travel to his Wooloowin home, however Gerhard and his motorcycle have never been seen since. “Gerhard had planned to accompany a friend to dinner that night and return to his friend’s workshop the following day but never made either appointment. Gerhard’s disappearance was out of character and extensive police searches of waterways and roadways failed to locate any trace of Gerhard and his motorbike. “Police inquiries conducted since the time Gerhard was reported missing through to now have resulted in a strong belief that Gerhard has been murdered,” Detective Superintendent Steve Holahan of the State Crime Command’s Homicide Group said. Gerhard’s brothers, Paul and Peter Wagner, have sought to find answers to what happened to Gerhard since his disappearance. Today, they are appealing alongside the detectives investigating Gerhard’s suspected murder for the information that may identify the events and circumstances surrounding his disappearance and ultimately, those responsible for Gerhard’s suspected murder. PAUL Wagner was at a restaurant when he received the call that would change his life. His brother, his protector, the man who had taught him to drive and bought him his first bicycle, had disappeared. He’d missed dinner with a friend. His house was locked up, abandoned. He hadn’t answered his phone. The three Wagner brothers were extremely close. Paul and Peter had been living in north Queensland but kept in regular contact with Gerhard in Brisbane. He was the eldest. The one who had looked after them for years. It wasn’t like Gerhard to disappear like that. He kept appointments. He was reliable. They talked about whether he might have gone to Sydney to visit friends. He’d spent some time there working on his yacht. He’d had big plans to sail it to New Zealand. It was January 13, 1999, and they’d discover later that Gerhard had already been missing for nearly a week. “The next day we all spoke and agreed we’d go down to Brisbane and get into the house and have a look to see if we could find any letters or ­telegrams that might help us work out where he had gone,’’ Paul said. “We found nothing. Murder did not enter their minds when they called police. Gerhard was not a man to make enemies. He was generous to a fault. He loved his family. When the Wagner brothers arrived in Australia from Germany in 1949, it had been Gerhard who first learnt the language and took on the responsibility of running the household. He was about 15 when he started his first job, in an electrical store. He bought his brothers their first bicycles and their first watches. Gerhard bought a 1957 Holden and when Paul was 17, taught him to drive. He taught Peter too and eventually passed the old car down to them. At 18, Gerhard joined the merchant navy and went to sea. One of his first trips was to Hong Kong. He returned with presents for the family. Paul still has the gold ring, decorated with the letter P, that Gerhard brought back for him. The generosity Gerhard showed as a boy was still with him as a man. He worked hard, both as a merchant seaman and with Paul on the macadamia farm they set up together. By 1999, when Gerhard was 61, life was good and the long-time bachelor was ready to set off on a new adventure. He’d organised to sell his house at Wooloowin. It was time to downsize. He would move into the townhouse he owned in Ashgrove and make use of the yacht he’d spent years carefully constructing. “It was a 42-footer with a steel hull. His pride and joy,’’ Paul said. “It was built to the finest detail. I think he changed the steering wheel on it about three or four times. He’d spend all his available time tinkering and polishing it. On January 7, 1999, Gerhard, 61, had been working on his boat at a friend’s workshop in Hemmant. Police tracked him crossing Story Bridge on his motorbike after leaving the workshop. After that, Gerhard Wagner, the man who had lived to give, vanished. Paul believes his brother’s murderer was motivated by money. Gerhard was an ordinary man, devoted to his family, giving to a fault. He had no enemies. Perhaps he lent someone money and they didn’t want to pay it back? “I think about him nearly every day,” Paul said. “All these years, what goes through your mind is, how did it happen? Did he know the person or persons? Was he beaten to death? Shot? Stabbed? Police this week announced a $250,000 reward for information leading to an arrest. Call Crime Stoppers, phone 1800 333 000.